Whether worn on its own or as a layer under armour, the Ecru Medieval Gambeson adds historical style to medieval and fantasy outfits. 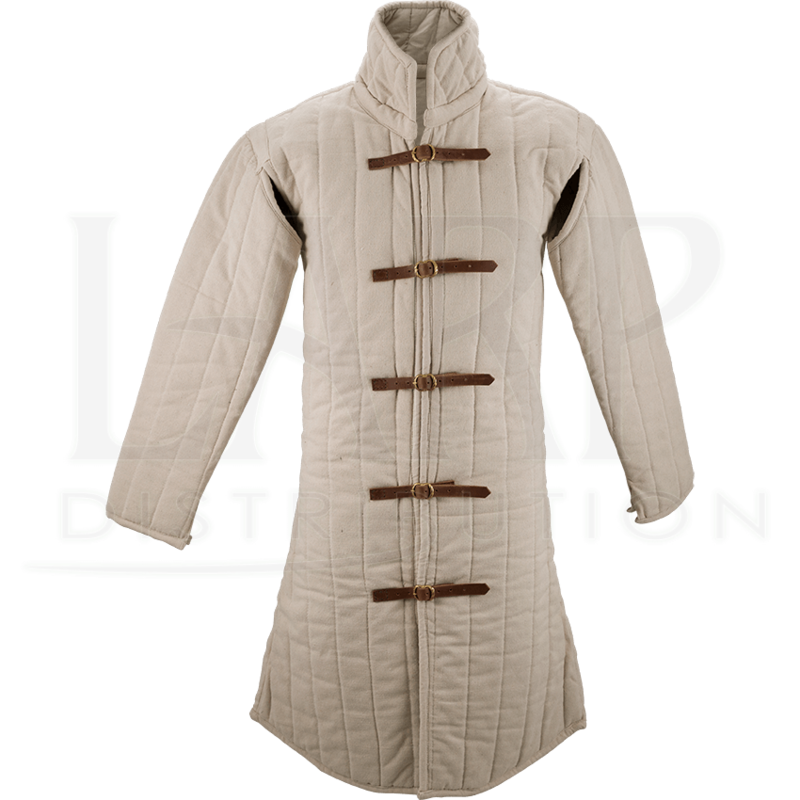 This long sleeve gambeson is padded and quilted, covering from neck down to the upper thighs. Its cotton canvas outer layer is sturdy and rugged, and the historical gambeson is filled with wool felt. Five leather straps on the front, adjustable via their brass buckles, secure this medieval padded jacket down the front, just after the neck. Choose from a range of sizes. 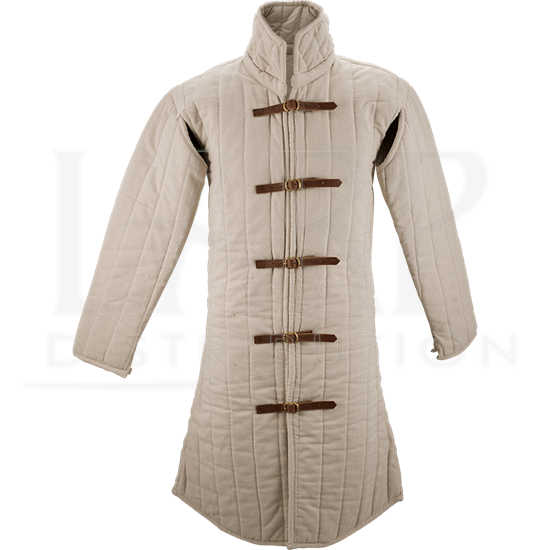 Make your armour-wearing experience more comfortable or give yourself light, cloth protection with this padded medieval gambeson.